The thing about Linux or Unix server is that the smallest typo such as missing semicolon or white space can cause the greatest grief. The following command line option will not run the server or stop running server, it will just test the configuration file and then exit. It will check the configuration for correct syntax and then try to open files referred in configuration. The config file is parsed and checked for syntax errors, along with all files included config file(s) by the server. In most case you can also specify which configuration file server should use instead of the default. Once your have verified your configuration files and fixed any errors you can go ahead and reload or restart the server. 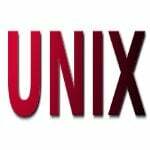 Let us see how to test the syntax for various Linux and Unix services. # /usr/sbin/sshd -t && echo $? See also: Openssh server security best practices for more information. -c /path/to/file : Specify which configuration file Nginx should use instead of the default. -t : Just test the configuration file. See also: Howto set nginx as a reverse proxy server and top 20 nginx best security practices for more information. -f filename : Use filename of the config-file. 120330  7:52:43 [Warning] '--log_slow_queries' is deprecated and will be removed in a future release. Please use ''--slow_query_log'/'--slow_query_log_file'' instead. postfix: fatal: /etc/postfix/main.cf, line 385: missing '=' after attribute name: "sss"
Mar 30 08:01:34 mx421 postfix: fatal: /etc/postfix/main.cf, line 385: missing '=' after attribute name: "sss"
-a : Report access control rules that permit access without an explicit ALLOW keyword. -d : Examine hosts.allow and hosts.deny files in the current directory instead of the default ones. -i inet_conf : Specify this option when tcpdchk is unable to find your inetd.conf network configuration file, or when you suspect that the program uses the wrong one. -v : Display the contents of each access control rule. Daemon lists, client lists, shell commands and options are shown in a pretty-printed format; this makes it easier for you to spot any discrepancies between what you want and what the program understands. -t : The -t flag is specified, the server will simply test the configuration file for correct syntax, but will not attempt to perform any network operations. This can be used to test the a new configuration file automatically before installing it. -T : This flag can be used to test the lease database file in a similar way. -cf /path/to/dhcpd.testing.conf : Use an alternate configuration file called /path/to/dhcpd.testing.conf. That example overrides vsftpd’s built-in default for the “listen” option to be NO, but then loads settings from /path/to/vsftpd.testing.conf. -v : Verify your configuration. -n : Only check the configuration file for validity. -f /usr/local/etc/ntpd.conf : Use /usr/local/etc/ntpd.conf file as the configuration file, instead of the default /etc/ntpd.conf. -d : Do not daemonize and ntpd will run in the foreground and log to stderr. Please note that the new Xorg is largely self-configuring and doesn’t need one. But, if you use proprietary (say Nvidia) or other drives you need to test Xorg syntax using the above described method. rsyslogd: the last error occured in /etc/rsyslog.conf, line 11:"$FilesOnwer root"
-c4 : Selects the desired backward compatibility mode (in this example it is # 4). -f /etc/rsyslog.testing.conf : Specify an alternative configuration file instead of /etc/rsyslog.conf, which is the default. -N 1 : Do a config file check. Do NOT run in regular mode, just check configuration file correctness. This option is meant to verify a config file. The level argument modifies behaviour. Currently, 0 is the same as not specifying the -N option at all (so this makes limited sense) and 1 actually activates the code. Later, higher levels will mean more verbosity (this is a forward-compatibility option). Unknown directive Loggslevel on line 6. -f : Run cupsd in the foreground; the default is to run in the background as a “daemon”. -c /path/to/cupsd.testing.conf : Uses the /path/to/cupsd.testing.conf configuration file. 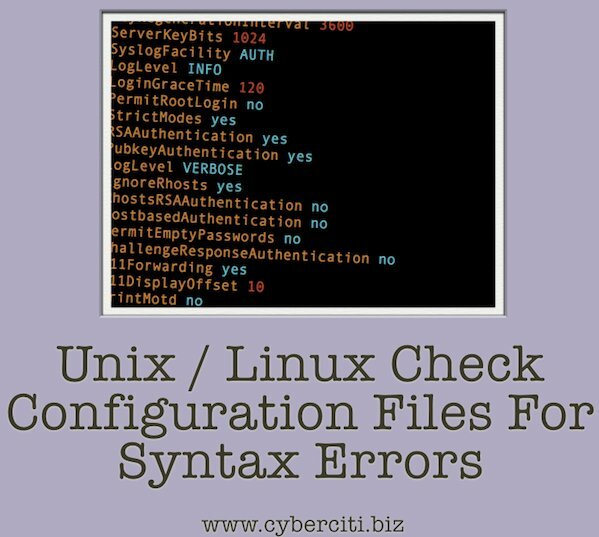 Test the configuration file for syntax errors. -Tt : Test for config file errors. -f /path/to/slapd-config.conf : Specifies the slapd configuration file. The default is /etc/openldap/slapd.conf. -C : Print VCL code compiled to C language and exit. Specify the VCL file to compile with the -f option. -F /path/to/wordpress.vlc : Use the specified VCL configuration file instead of the builtin default. Pass the -bV option to exim. If there are any errors in the configuration file, Exim outputs error messages. Otherwise it outputs the version number and build date, the DBM library that is being used, and information about which drivers and other optional code modules are included in the binary. 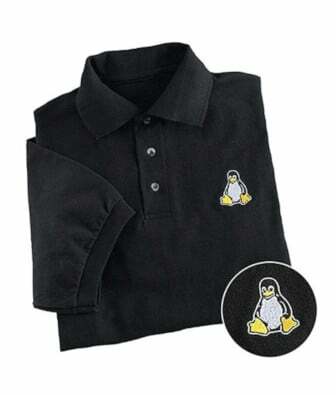 See how to debug a shell script under Linux or UNIX for more information. -n : Do not load rules from /path/to/pf.testing.conf, just parse them. -f /path/to/pf.testing.conf : Load the firewall rules contained in a file called /path/to/pf.testing.conf. OpenSSH /usr/sbin/sshd -t && echo $? I hope you find these tips useful. 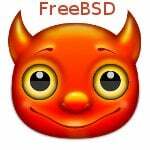 Have a favorite command to check the Unix / Linux / BSD server config file for any syntax errors and warnings? Let's hear about it in the comments. You have a typo in #14: ervers -> servers. I think it’s everything wasted to say ‘OpenSSH SSH Server’. Doesn’t IPTables perform automatic check upon inserting a new rule ? Add’: Never attempted IPTables for its difficult syntax. Using UFW instead, on Ubuntu/Debian and the likes. Otherwise using some other method. Noop. No automatic check exits for IPTables. But, iptables-apply command will try to apply a new ruleset (as output by iptables-save/read by iptables-restore) to iptables, then prompt the user whether the changes are okay. 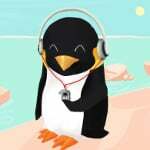 If the new ruleset cut the existing connection, the user will not be able to answer affirmatively. In this case, the script rolls back to the previous ruleset after the timeout expired. The timeout can be set with -t.
Thanks. The post has been updated. It’s quite interesting.. I came to know about it through your facebook comment. Is there any way to handle this ? Thanks a lot …very nice & useful article.. Alternative to @smilyface suggested “-T” option, is just use service without an option. This gives all possible options similar to the previous mentioned “-T” option, which helps discover the check syntax/config options. The service command can be useful but you should be aware of what you are actually running. Check the /etc/init.d/servicename file and verify that its not sending kill signals to the app if you are just wanting to test your config file. Very good article. THis will mantain my servers active when modifying config files. Little Typo: In the second command-line code after OpenSHH, isn’t it “# /usr/sbin/sshd -t” instead of “# usr/sbin/sshd -t”? I wasn’t aware of the -z option. Appreciate your comment. Logrotate is often forgotten. Syntax errors may result in log rotation failing for some or all logs. The standard configuration file is /etc/logrotate.conf and includes the files in /etc/logrotate.d/. Logrotate will also attempt to process any backup files left in /etc/logrotate.d/. Syntactical errors will result in logrotate quitting at the file containing the error and not continuing. Duplicate log entries will also result in logrotate stopping. very nice & useful article.. Verifying configs for invalid characters – Take your “cat” to the -vet. Sensitive configuration files, like RHCS cluster.conf, do not play well with invalid characters in the file. Viewing the file with ‘cat’ and the -vet flags “show-nonprinting, display $ at end of each line, and display TAB characters as ^I” will reveal potential, unexplainable problems. Good point. I appreciate your post. Previous post: Previous post: Is My Mac Computer Infected With The Flashback Trojan?